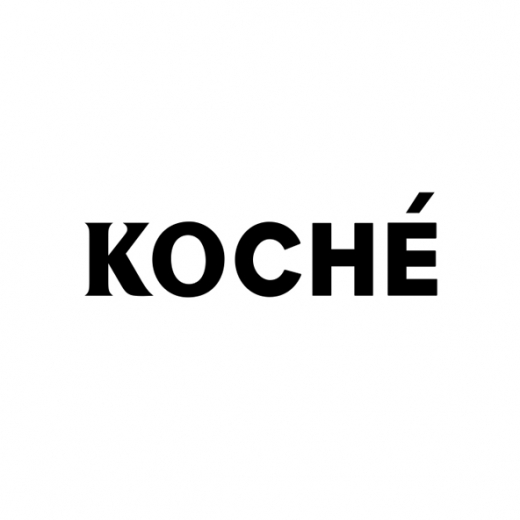 KOCHÉ STANDS AT THE CROSSOVER OF HIGH FASHION, STREET CULTURE AND CONTEMPORARY ART. WITH COLLECTIONS PRODUCED BY THE MOST SPECIALIZED FRENCH ARTISANS, INCLUDING THE LEGENDARY PARISIAN MAISONS D’ART LESAGE, MONTEX & LEMARIÉ, ITS INTENSE AND DISTINCT ATTITUDE OFFERS A VERY CASUAL, YET HIGHLY LUXURIOUS, NEARLY HAUTE COUTURE APPROACH TO FASHION. UNCOMPROMISINGLY MODERN, EFFORTLESSLY ELEGANT AND TIMELESSLY REFINED, KOCHÉ OPENS A DOOR TO AN INTRIGUING NEW ANGLE OF HIGH LUXURY FASHION – « COUTURE TO WEAR ».